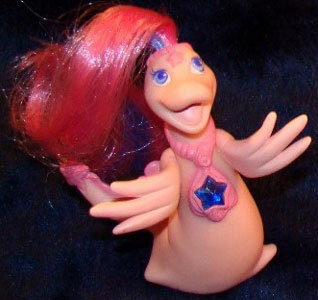 "Squeeze me and I give magical kisses!" 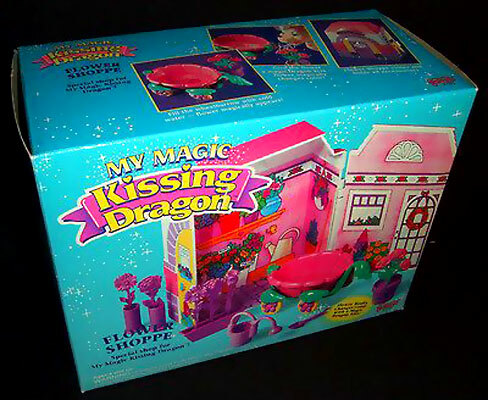 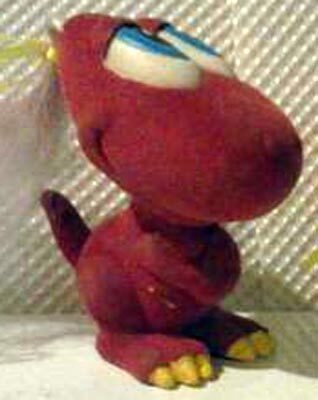 My Magic Kissing Dragon were produced by Galoob in 1994. 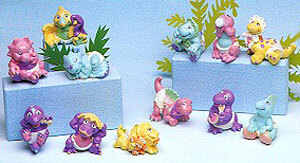 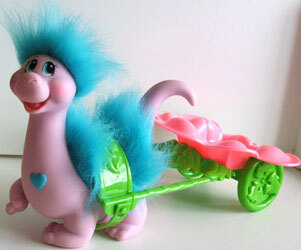 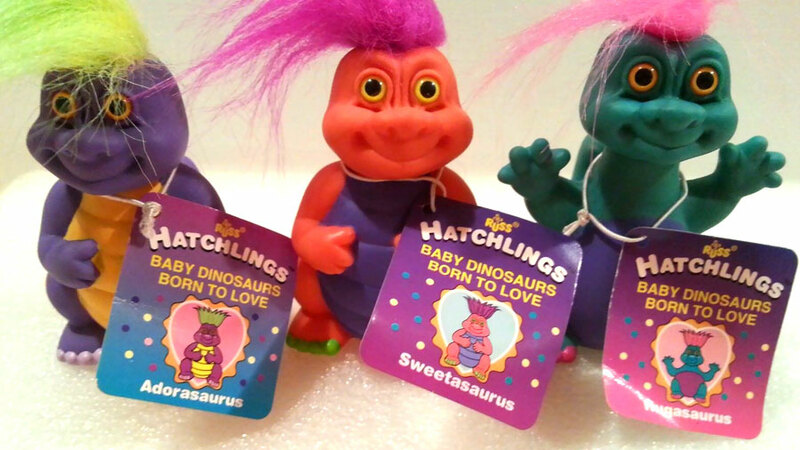 They were a short lived series of plastic dragons which when squeezed squirted out a scented mist from their mouths. 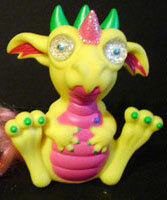 Each dragon had a different colour-change symbol on their belly and a matching colour-change symbol on their bowl accessory. 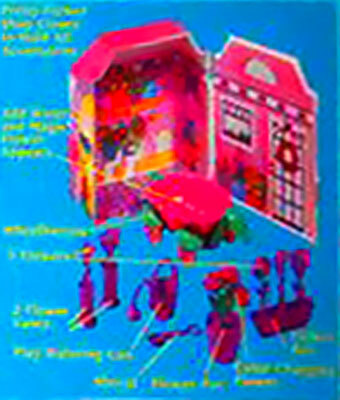 There were also five playsets produced. 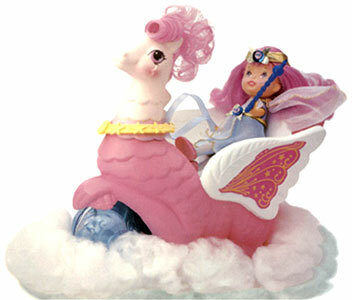 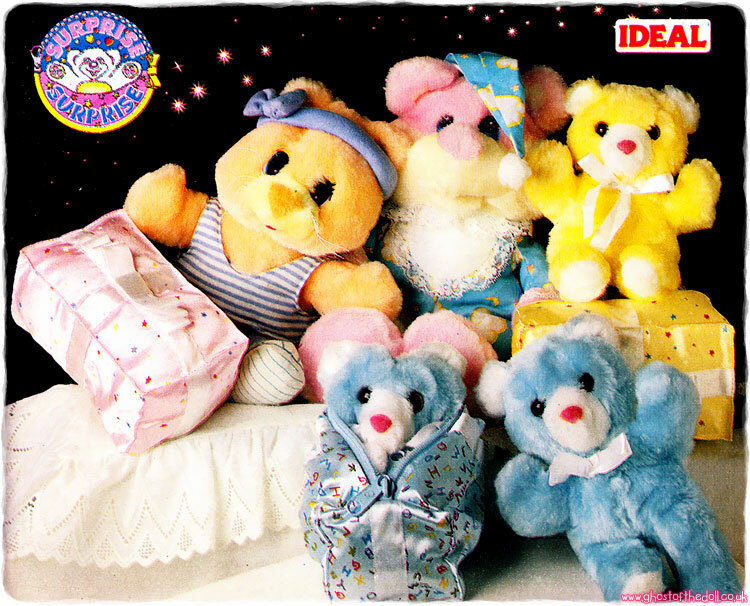 Images on this page thanks to Catherine, Pablo, and eBay sellers ameblo.jp , pooyabee , toy-saurus and michellerichardps ! 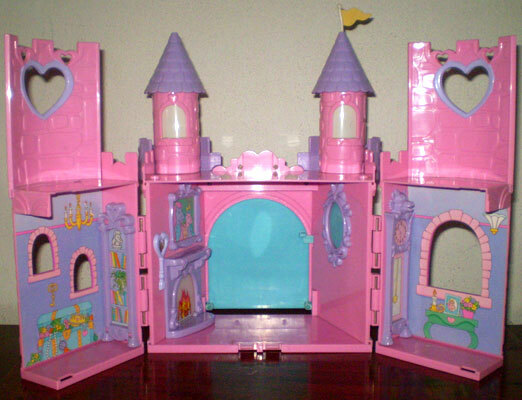 There were four smaller playsets produced at first, then the large castle playset was added. 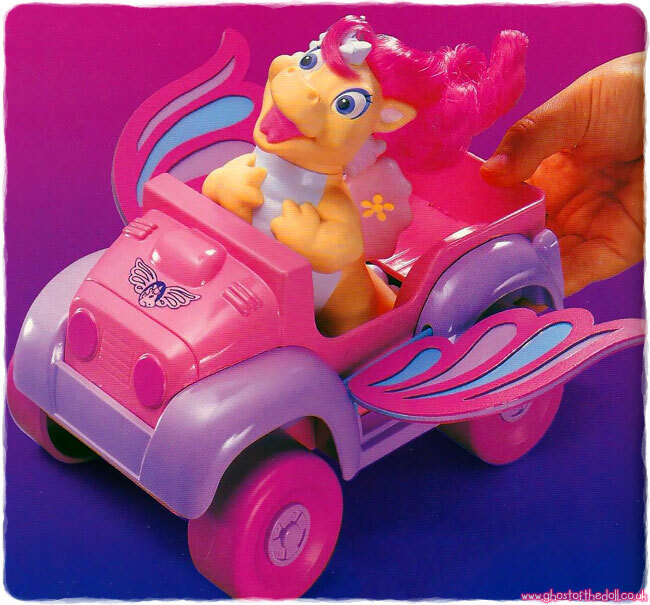 All but the car had light-up features. 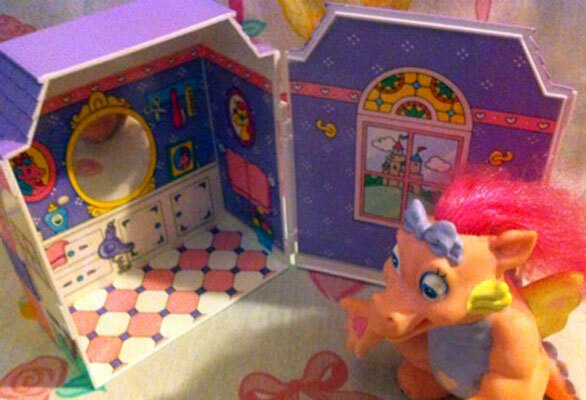 No sets came with a dragon. 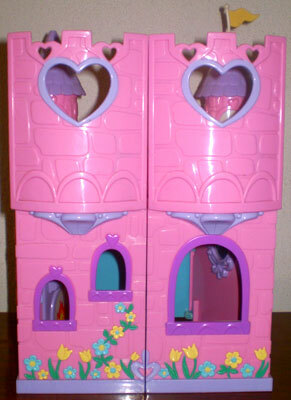 "3 different playsets - each with special colour-change activated by magic dragon kiss or water." 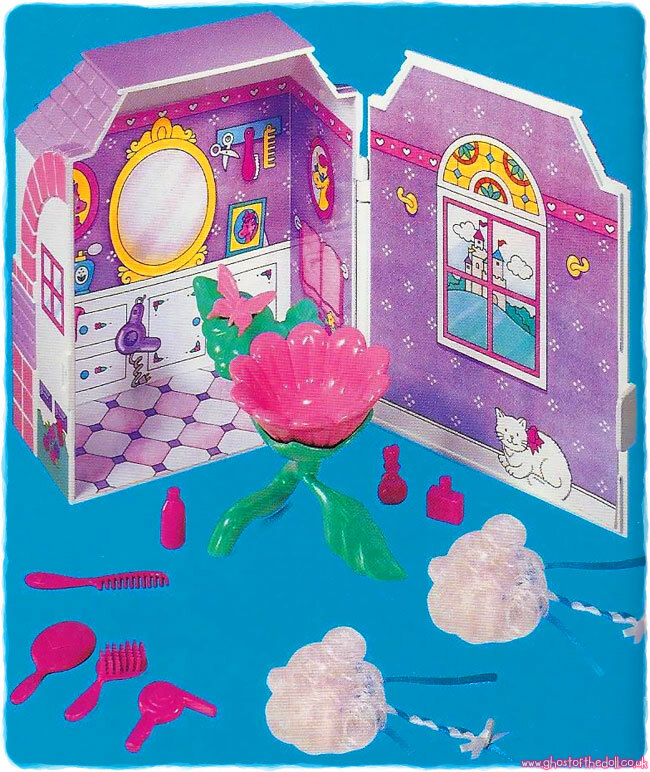 "Sink with magic colour-change emblem!" 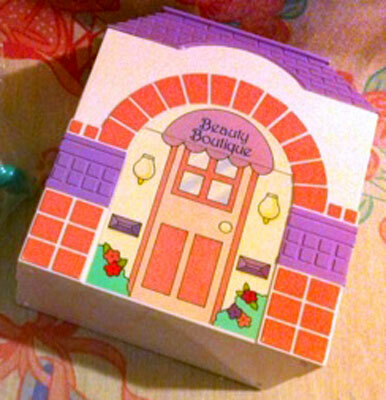 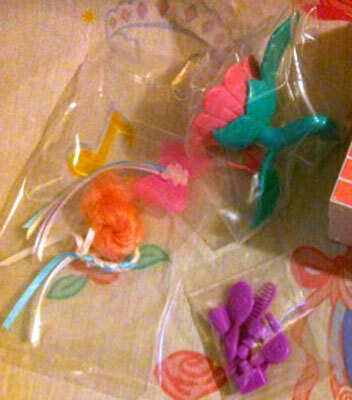 "Beauty Butique includes sink with colour-change deco, 2 hair accessories, brush, comb and other beauty accessories." 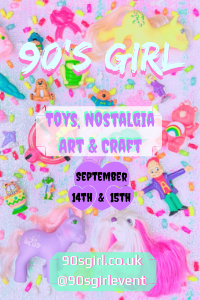 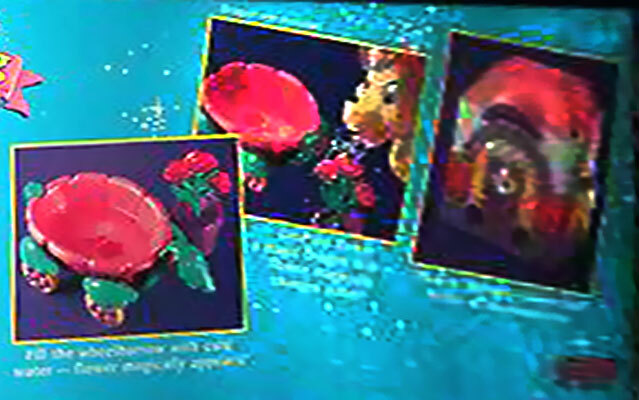 This image is from the 1994 Galoob Catalogue. 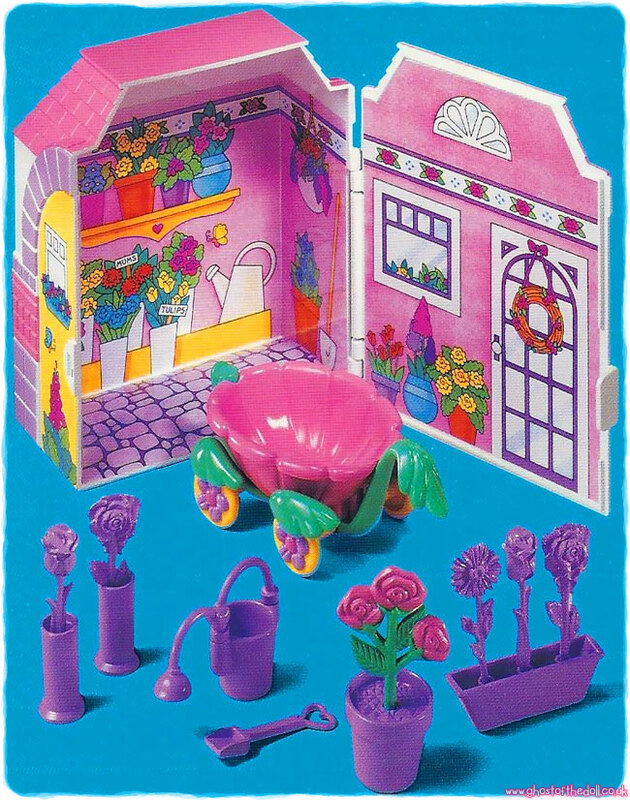 "Flower Shoppe includes udes rolling wheelbarrow with colour-change deco, 1 large colour-changing ?ower, 5 smaller flowers, 2 vases and other Flower Shoppe accessories." 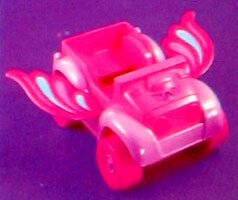 The emblem on the front of the car changed colours with the dragons magical kiss. 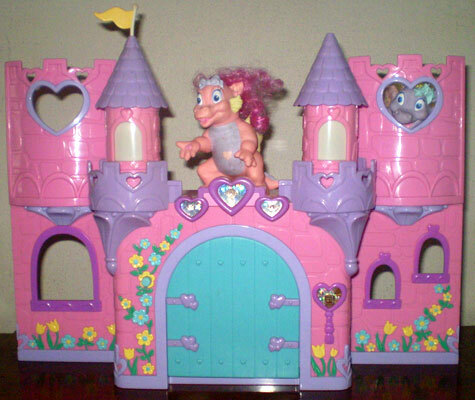 It didn't come with any accessories. 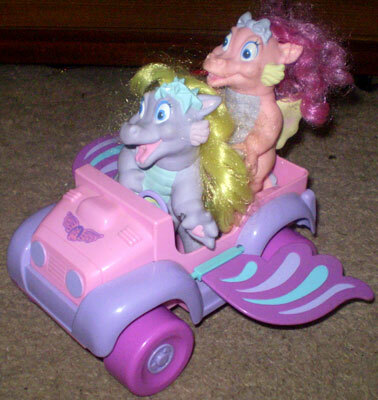 "Dream Car seats one dragon and includes colour-change hood emblem, real rolling wheels and special “flapping” wings." 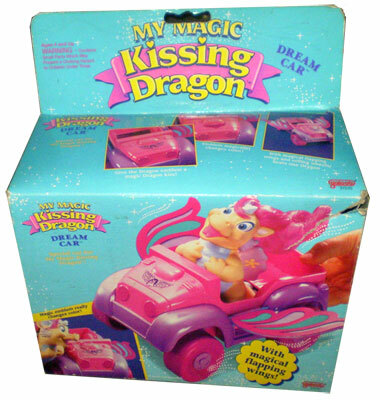 "Lights up like magic with a dragons kiss!" 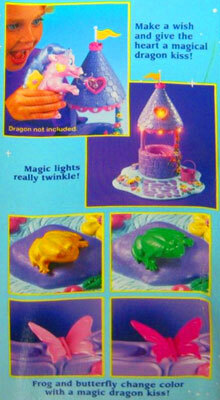 The Magic Wishing had a (fixed) colour-change butterfly and frog, light-up top, and also came with a bucket. 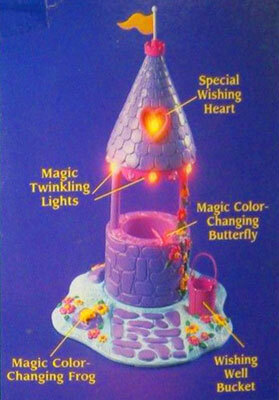 "Pretty magic wishing well with real twinkling lights and magic colour-change features!" 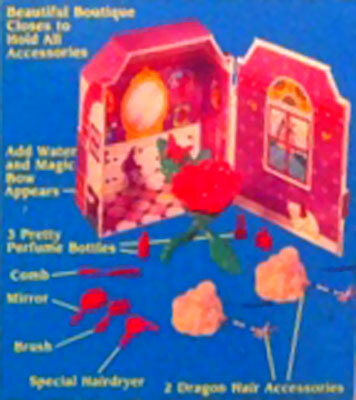 This image and text is from the 1994 Galoob Catalogue. 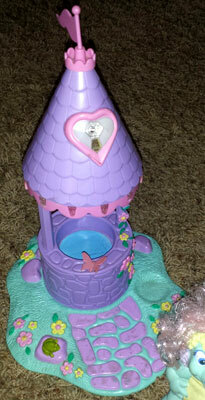 Wishing well with electric lights that magically twinkle when kissed by a dragon. 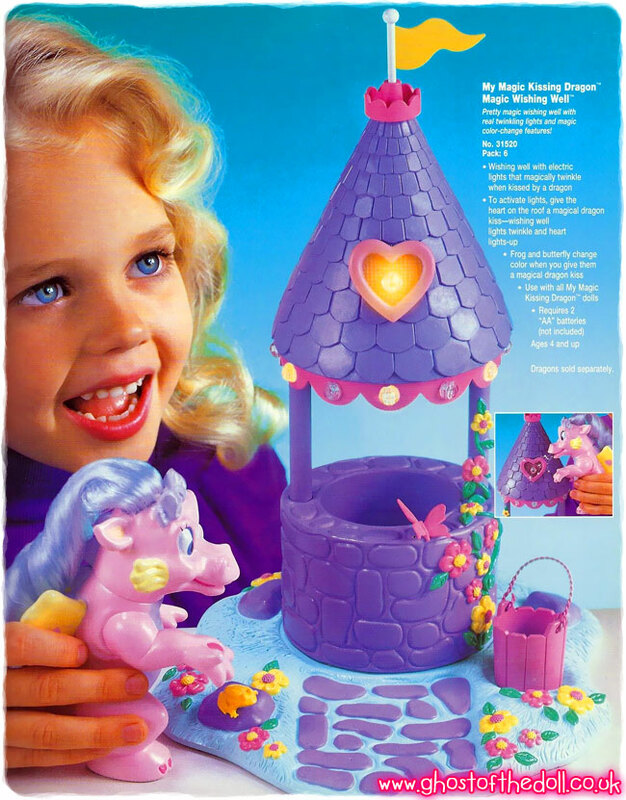 To activate lights, give the heart on the roof a magical dragon kiss - wishing well lights twinkle and heart lights-up. 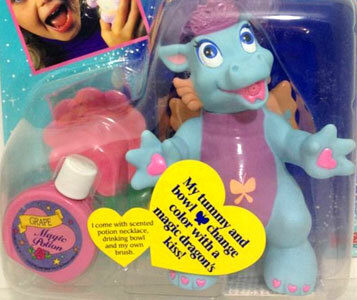 Frog and butterfly change colour when you give them a magical dragon kiss. 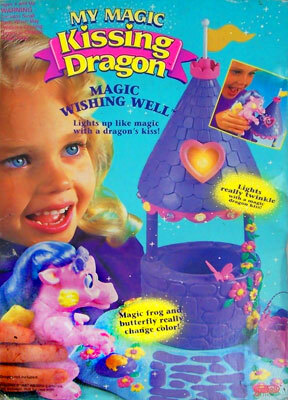 "Lights really twinkle with a magic dragon kiss!" 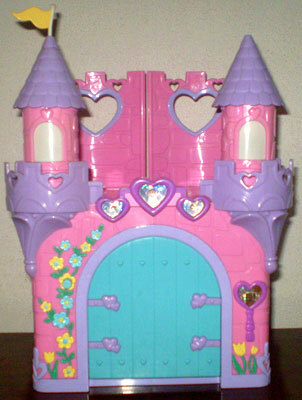 The Magic Dream Castle playset was the biggest and last set to be produced. 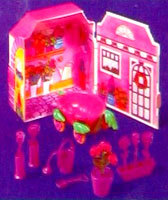 It had several light-up features but didn't with any accessories. 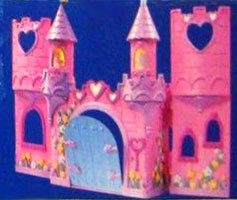 "Enchanted castle witlr real twinkling lights!" 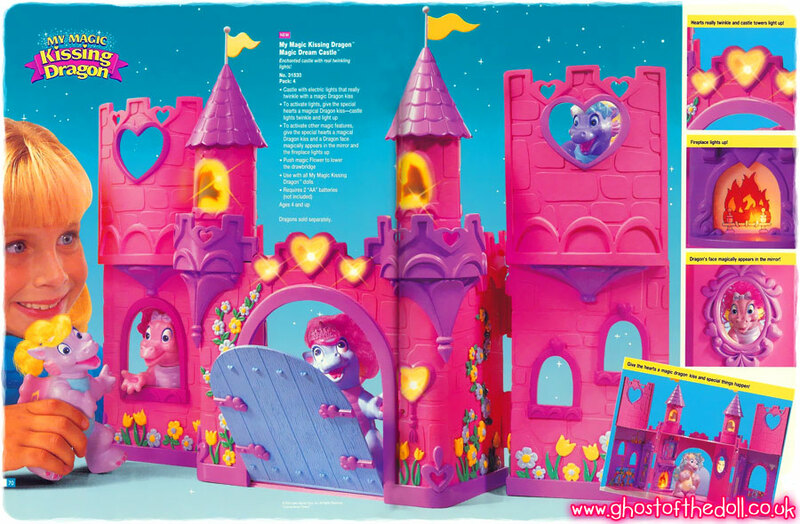 Castle with electric lights that really twinkle with a magic Dragon kiss. 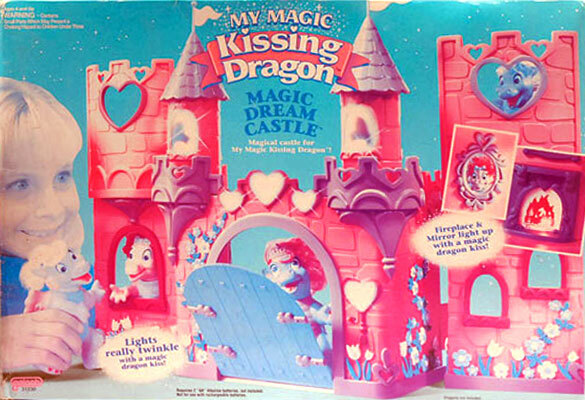 To activate lights, give the special hearts a magical Dragon kiss-castle lights twinkle and light up. 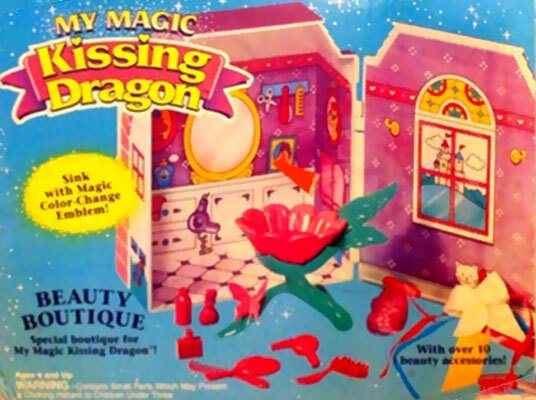 To activate other magic features, give the special hearts a magical Dragon kiss and a Dragon face magically appears in the minor and the fireplace lights up. 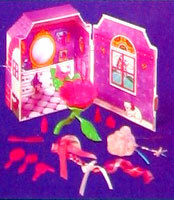 Push magic Flower to lower the drawbridge.